If you're still trying to find the best deals to take advantage of before this day of sales is over, you might want to check out the Cyber Monday discounts many newspapers and magazines are offering. As you're probably aware, Donald Trump threatened the free press multiple times during the 2016 election, and now that he's president-elect, it's more vital than ever that the public supports strong journalism. In addition to facing a new era led by a president who openly resents the media, journalism, specifically in the United States, has a much smaller workforce than it did a decade ago. "People need to understand when they discuss the media’s failings that there are 40 percent fewer reporters than 10 years ago," said Clara Jeffrey, editor-in-chief of Mother Jones. According to the Pew Research Center, the struggling print media, with its sinking circulation numbers and lack of ad revenue, is the root of the problem. With the rise of fake news websites and the frightening fact that most students can't tell the difference between hoax stories and legitimate news reports, respectable outlets are indescribably necessary as we move into the next presidential administration. Here are nine newspapers and magazines offering discounts on subscription prices or on items from their online shops. Harper's is a monthly magazine covering culture and politics. Their offer of 30 percent off anything in their virtual store is an incredible deal. The New Yorker focuses on news, politics, art, and literature. Twelve weeks for just $10 is a great way to familiarize yourself with the magazine for a low cost. Scientific American is one of the most respected publications in the scientific world. Unlike Nature, which is targeted toward people with a more in-depth understanding of science, Scientific American can be easily understood by those outside the scientific community. Since we now face a world leader who doesn't believe in climate change and possesses a tenuous grasp on how abortion works, it would certainly be helpful if more people read factual studies about these sorts of things. The New York York Times has been running this holiday discount for a little while now. You can't go wrong getting half price for a yearlong subscription of one of the most respected newspapers in the world. A 75 percent discount to get this newspaper is an unbeatable deal. If you're still itching to buy something on Amazon, choosing Futuro Media as your charity of choice during checkout is a great way of supporting journalism. Futuro describes itself as "an independent non-profit media organization based in Harlem, producing multimedia journalism that shares diverse and unheard voices." PBS is an independent broadcasting company dedicated to televising educational and accurate content. Donating or finding some merchandise to buy in their shop would be a great way of supporting this decades-old nonprofit. 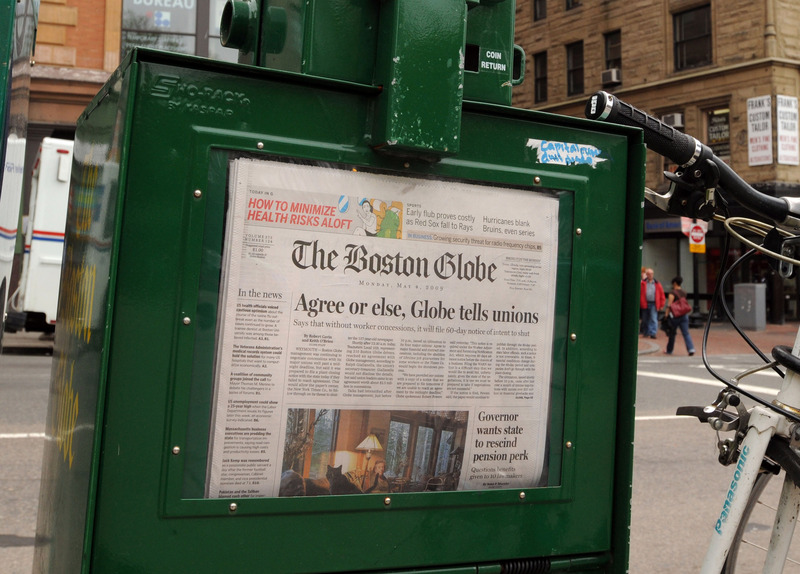 The Boston Globe is one of the country's oldest and most reliable newspapers. Over 20 Pulitzer Prizes have been awarded to its contributors over the years. This should definitely be one of your top choices. Another awesome organization you can support by shopping on Amazon. JAWS dedicates itself to supporting "the professional empowerment and personal growth of women in journalism and works toward a more accurate portrayal of the whole society." Supporting any of the publications and organizations listed above is probably one of the best ways you can spend your money this Cyber Monday.